Iranian Foreign Minister Mohammad Javad Zarif admired Syria for its fight against terrorism that protected the entire region from a big threat. 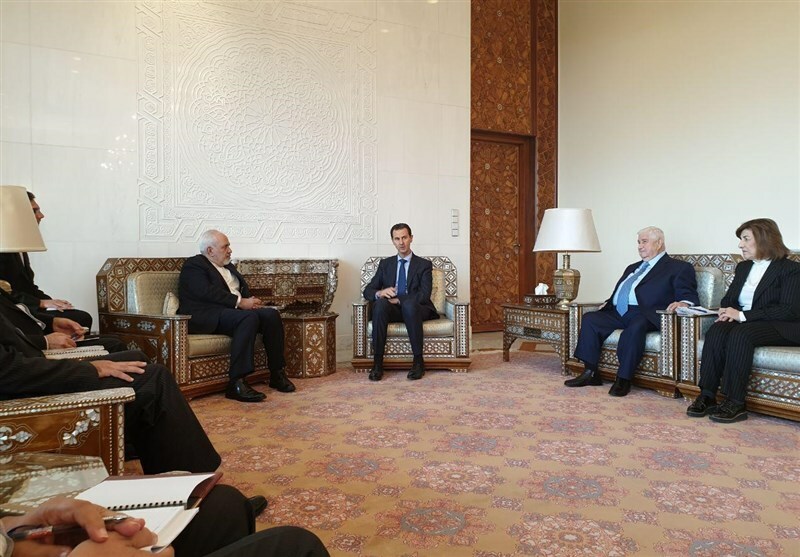 In a meeting with his Syrian counterpart Walid Muallem in Damascus on Tuesday, Zarif praised the Syrian people for saving the region from a major threat. He also noted that Iran is delighted to have supported the Syrian and Iraqi nations in their victory against terrorism and protecting the region from the threat of terrorism. For his part, Muallem underscored that Syria and Iran are in a single front. Heading a ranking diplomatic delegation, Zarif arrived in Damascus on Monday for meetings with top Syrian officials. He already had a meeting with Syrian President Bashar al-Assad. The top Iranian diplomat is going to visit Turkey afterwards. The two-day tour of Syria and Turkey is aimed at the coordination of policies on the regional and international developments in order to ensure peace and stability in the region.